I love this time of year. I love the baking, cooking, fall and holiday scents, weather and just about everything that goes with it. In the last few years, we’ve tried to get away from all of the shopping, commercialization and the “gimme” attitude that seems to develop more at this time of year. We’ve been focusing on the reasons why we celebrate Thanksgiving and Christmas, what we want our children to grow up remembering and just enjoy the season. In our effort to do all this, we try not to focus on gifts unless they are handmade or homemade. I love making gift baskets for friends and family during this time of year and I know our friends and family appreciate receiving them. I don’t go all out on the gift baskets but for family, we like to give a personalized gift, maybe some additional handmade gifts and then fill the basket up with goodies like mini breads, cookies, chocolates, etc. Last week, I tested out my Good Cook Mini Loaf pan and decided to make some pear bread for the kids. We still have wheat berries to use up and I needed to do something with the pears so I figured they would probably enjoy the treat. They turned out perfectly but then my husband thought they sounded good and since he is on a gluten free and dairy free diet now, I had to adjust the recipe some. Having never baked a gluten free, dairy free dessert, this was all new to me but I found a recipe for a wonderful gluten free flour mix and we went shopping. You’ll need sugar, oil, eggs, gluten free flour, cinnamon, baking soda, vanilla, salt, and pears. 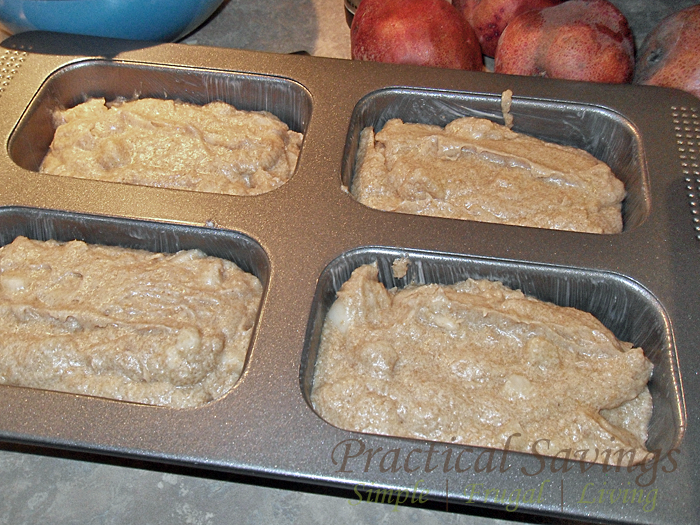 Scoop the mixture into your loaf pan and bake at 350 degrees for 40 minutes or so. 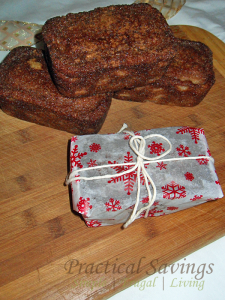 Good Cook has some Christmas decorative pre-cut parchment paper which are the perfect size for these mini loaves but you can use regular parchment paper and add a pretty ribbon to tie it up. This recipe has been adapted from a Betty Crocker cookbook. Cream sugar, oil and eggs together. Add in the remaining ingredients, except the pears. Beat together until well mixed. Add in the pears and stir. 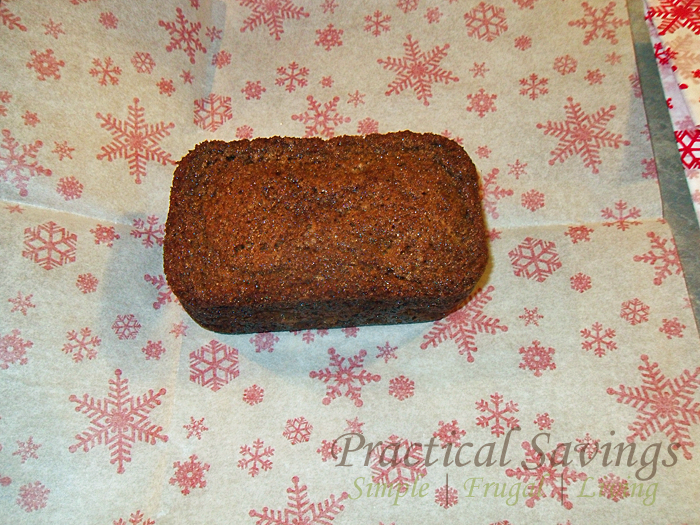 Divide into loaf baking pan and bake for 40 minutes or until a toothpick comes out clean when inserted into the center. Remove from heat and let cool on a wire rack. 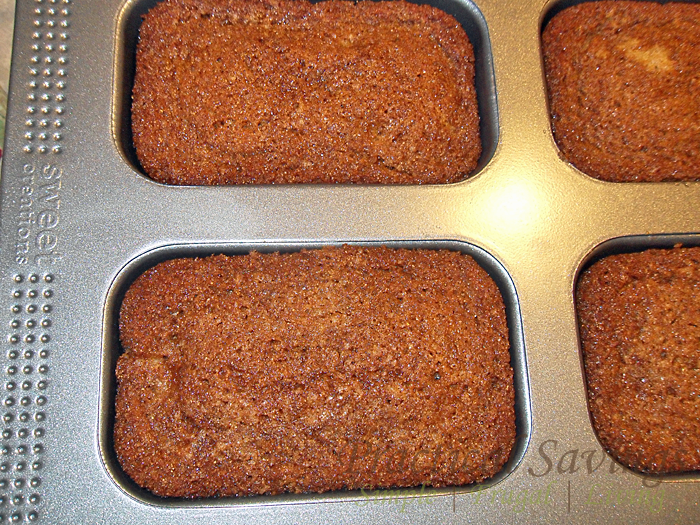 Makes 4 mini loaves. 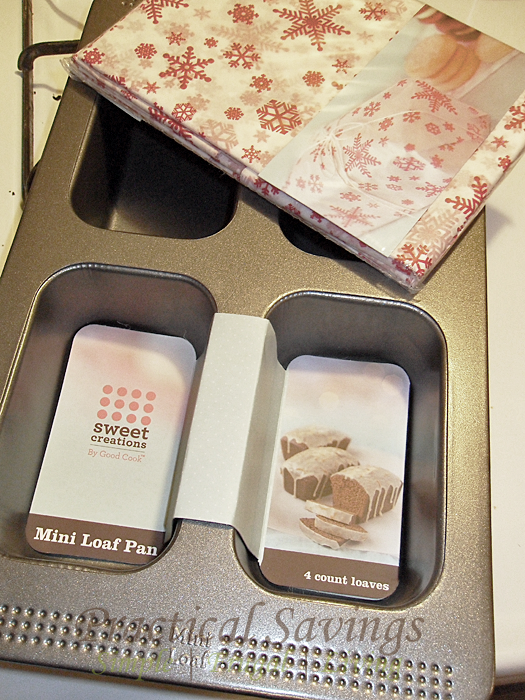 Follow Practical Savings’s board Breads on Pinterest.